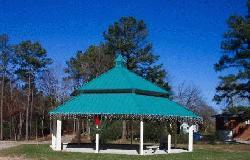 This park encompasses thirty-five (35) acres and has been a goal for the town for many years. Parks and Recreation Trust Fund grants helped purchase the property in 2002 and also assisted in development costs in 2004 and 2005. 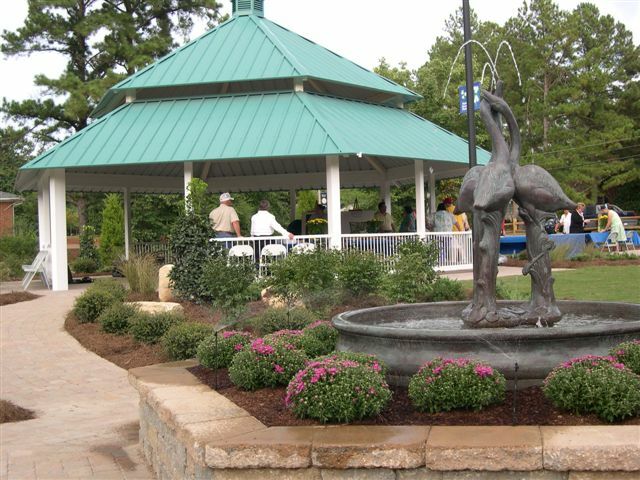 Rolesville recently finished developing the first eight (8) acres of the property that front Main Street (US 401) The park has a full scale gazebo and three full-size picnic shelters with benches and outdoor grills. All of which can be reserved for events. The park has a Education Arboretum Trail. This nine-hundred (900) feet long trail is constructed of shredded mulch and winds through the wooded area. 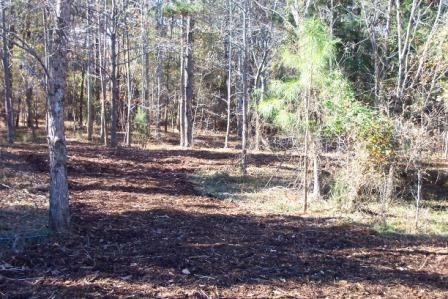 This nature trail will soon be an educational walk when many of the trees and vegetation will be labled and identified. The first eight (8) acres were recently completed and dedicated on September 15, 2005. Along with the shelter and Arboretum Trail, a eighteen-hundred (1,800) feet long and eight (8) feet wide asphalt trail circles the property. (see to the right) This trail is handicap accessible for all parties. The new park also contains a 90' x 120' (10,800 square feet) play field, large parking lot, restrooms, playground equipment, and many other amenities.